I carved the main shape out of pink insulation foam. It's not a great substance in terms of durability, but is very shape-able and fit my needs well. 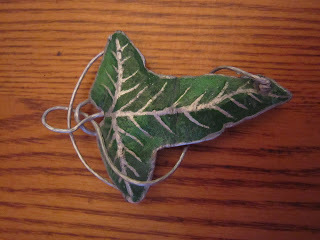 The wire part is done in three pieces. There are two half circles (a small and large) and the longer, winding piece. It was a little tricky to get the wire to loop around through itself like that, but not terribly difficult. 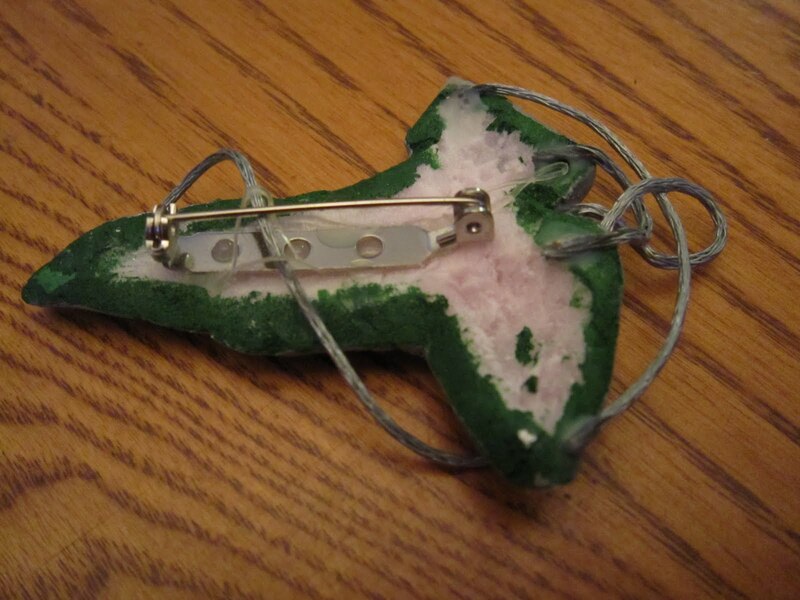 I glued the wire down. 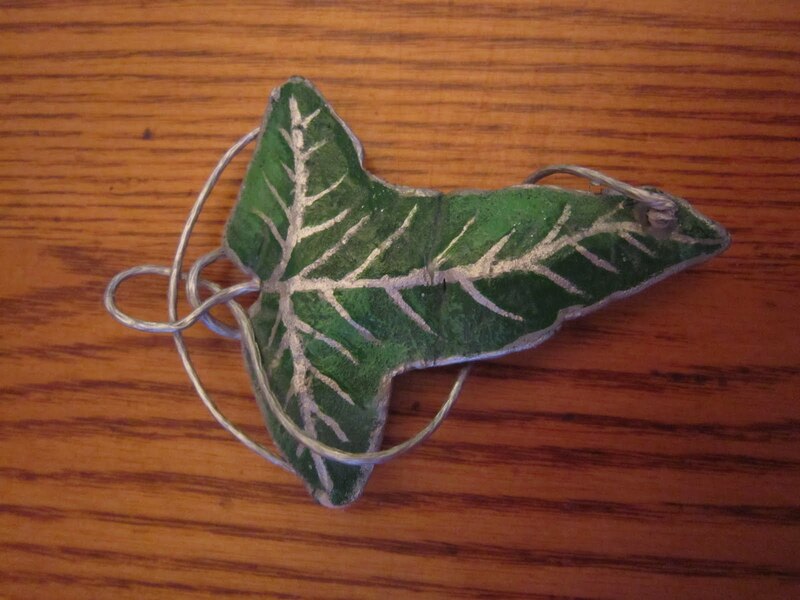 I then painted the leaf two shades of green to give it a little extra depth, then painted on the silver filigree and actually also painted the wire the same silver color. I varnished the whole thing to give it a bit more shine. I then glued a pin backing to the back of the piece so I could attach it to a cloak.